We are stuck where we are in life because of the limiting beliefs we have about ourselves. You can break free from limiting beliefs and create a shift in your life allowing you to create and live the life you deserve and dream of. 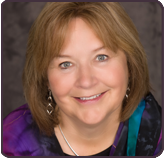 Barbara Joye, The Shift Guru, assists individuals in understanding and then shifting their self-sabotaging beliefs. Through her radio show, “Thank God It’s Friday” on BelieveintheMoment.com, workshops, seminars, and private sessions, Barbara assists individuals, audiences and groups to challenge their perspectives or beliefs, and in so doing, shift their non-supportive beliefs, and live the life they deserve. Join Georgiann and Barbara and learn some ways you can begin creating your shift to the life you deserve.